Of all the games played on the Xbox 360, Gears of War has to be one of the most important and popular games ever. Thus, it shouldn’t be a big surprise to learn that there are several Xbox 360 mods that are inspired by Gears of War game. 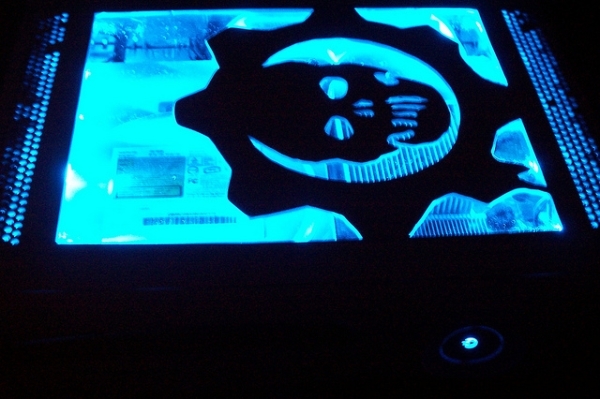 This time around, a modder has not only changed the Xbox 360 case to suit the theme of Gears of War, but has also managed to light it up. XPG BULLET has uploaded some amazing pictures of the mod. 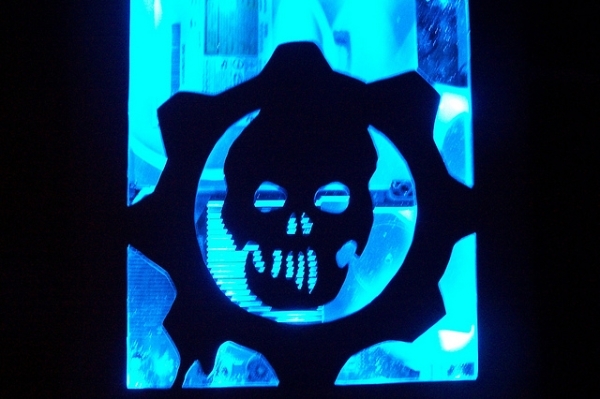 When the case mod is not lit up, it looks as if the case is carefully cut to reveal the skull which is typical to the game. The skull logo of the game reminds you that the Xbox 360 Gears of War mod is used by someone really fanatical about the game. 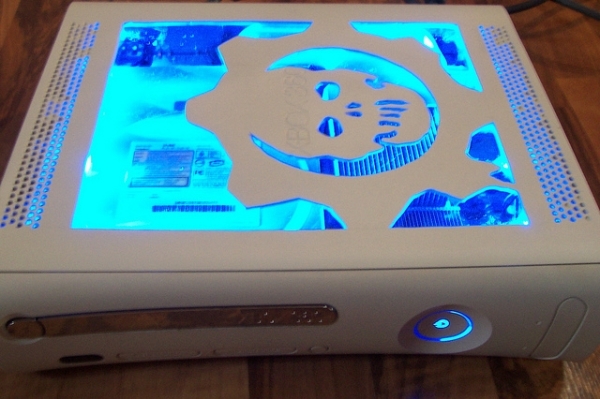 Well, coming back to the mod itself, the modder has taken extra care to cut the case and has probably used some amount of spray and paint as well, in order to make the case look like it is inspired by Gears of War. There seem to be blue LED lights fit under the case, which light up when connected to electricity. 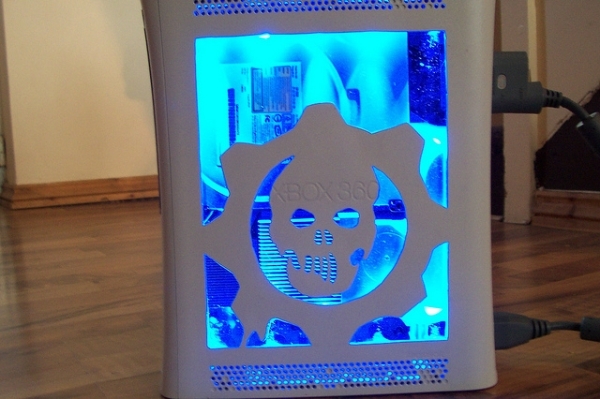 Thus, the Xbox 360 Gears of War mod looks rather amazing when connected to electricity and it would get you into the mood of playing one f the most loved games today. If you were not aware, Gears of War was released as an exclusive title for the Xbox 360 way back in November 2006. The game also came with an art book titled ‘Destroyed Beauty’ which reveals the story behind this wonderful game. 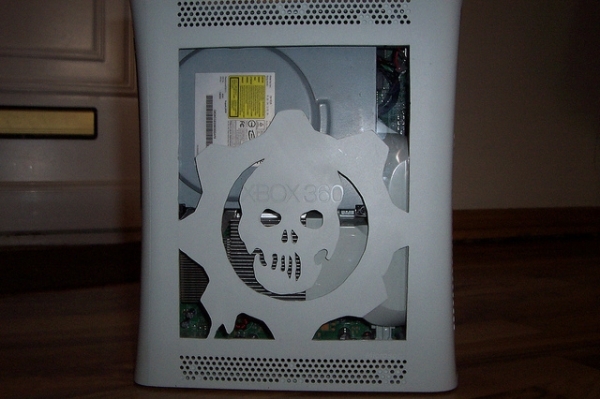 It is really tempting to get a casemod like this ourselves, and the only option for Gears of War fans is to mod their own Xbox cases, or get professional help in doing so. Meanwhile, you could also take a look these cool Gears of War Action Figures which come packed in a case. If you would like to be a part of the famed Delta Squad, you could also try and get the Gears of War COG Tags, which look super cool.